Last Sunday, Argentinians voted in the national legislative elections, which occur every two years. While the incumbent political party, Frente para la Victoria (FPV), will maintain a majority in both chambers of Parliament, it suffered defeats in the five largest electoral districts, leaving it with an enormous challenge for the presidential elections of 2015. 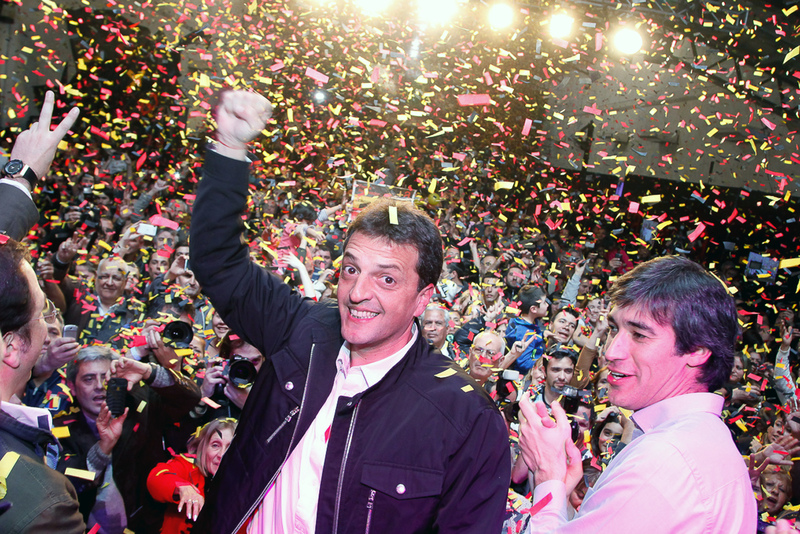 The opposition Frente Renovador party, led by Sergio Massa, defeated the national ruling party in the Province of Buenos Aires with over 43 percent of the vote. PRO, the center-right political party of the governor of Buenos Aires City, won in this district for both the House Representatives and the Senate. The center-left, Frente Progresista Cívico y Social, won by a large margine in Santa Fe, and the Radical Civic union (UCR), led by Julio Cobos, the former vice president of the second Fernández de Kirchner administration had a giant victory in Mendoza. Although the Representatives and Senators serve four and six years respectively, there is a partial renewal of both chambers every two years. In the House of Representatives half of the seats (127) were up for reelction by proportional (D´Hont) system, in the Senate it was one third (24 seats, eight districts—three senates by each) by majority system. According to the latest results published by the National Electoral Direction, approximately 80 percent of the electorate turned out for this election – a figure slightly higher than in the primary elections. Suffrage in Argentina is mandatory for every citizen older than 18, and optional for everyone between 16 and 18. According to the latest results, the incumbent FPV party obtained 33.2 percent of the vote at the national level. 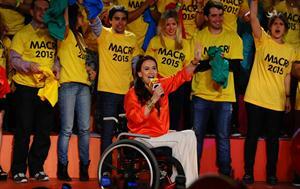 The non-Kirchner Peronist parties won 25.1 percent and center-left (UCR, FAP and UNEN) received 24.7 percent. In the House of Representatives, the ruling party plus its usual allies will get a number of seats (about 132) slightly above the threshold needed for a quorum in each session (129). Yet, it will be tight. The FPV was able to hold on to 48 out of 49 seats that they were defending. In the Senate, the situation for the national government party is better, since they will keep the majority (they won 14 out of 24 total seats contested). In Buenos Aires City, which represents 8.3 percent of the national electorate, the center-right PRO obtained 34.4 percent of the vote for the House, and almost 40 percent for the Senate, which earned the party five new representatives, and two senators. However, UNEN – a center-left coalition integrated by seven different political parties- established itself as the second local force, also winning five representatives and one senator. 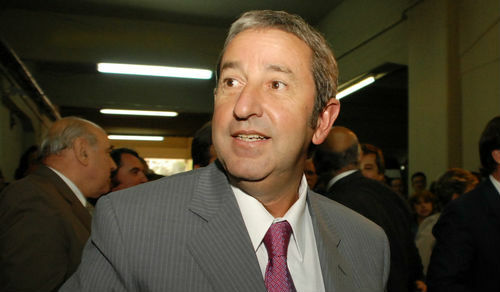 Daniel Filmus, an incumbent, lost the seat he won in 2007. Mauricio Macri, the current mayor of Buenos Aires and creator of the PRO, announced he will run for president in 2015. While the PRO has competed in 22 districts by itself or allied with other local forces in this election, it faces a greater challenge ahead: to establish a solid and reliable political basis in the province of Buenos Aires. The 12 point lead of the Frente Renovador, the political party led by Sergio Massa (who was a former Chief of Staff and Secretary of Social Security for President Cristina Kirchner in 2008-2009), over the FPV, led by Martin Insaurralde, was surprising in the province of Buenos Aires, which counts for 37.7 percent of the national electorate. In the primary elections the difference between them was a mere 5.4 percent. Most of the 35 seats that were contested in this district were won by the Frente Renovador, whose political leader also has already confirmed he will run for president in 2015. In Santa Fe (8.35 percent of the national electorate) the Frente Progresista Cívico y Social won over the incumbent FPV by 20.5 points. In second place was PRO with 27.3 points, its biggest triumph outside of the city of Buenos Aires. In Córdoba (8.65 percent of the electorate), the Peronist party, Alianza Unión por Córdoba, took first place with 30 percent, and the UCR in second place with more than 22 percent of the vote. In Mendoza (4.28 percent of the electorate) 3 out of 5 representatives seats were obtained by the UCR, who won by more than 20 points over the FPV (47.6 to 27 points). Beginning December 10, President Cristina Kirchner, will face a Parliament which will continue to respond to her in both chambers. 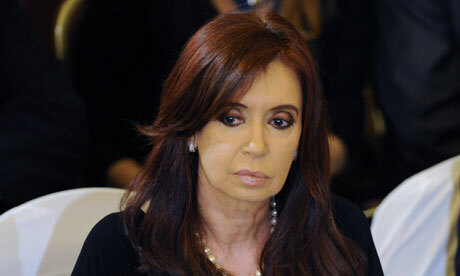 The agenda-setting power will remain in La Casa Rosada (as it has over the last three Kirchner administrations). Yet the bargaining power of the FPV with its allies in both chambers will most likely diminish. It will be interesting to follow how the center-left will organize and vote in the House of Representatives (they will have more than 60 seats in the new session). Can they create an institutional mechanism that ensures it functions as a unique political block? If so, there will be solid proof of real political coordination and union leading up to the 2015 elections. Many questions remain: What will the political strategy of PRO be at the national level now that its leader has announced his candidacy for president? How will the PRO plan to consolidate in the biggest national district? Who will be the presidential candidate by the ruling party in 2015 – given that any chance of a constitutional reform that would allow President Kirchner to run a third consecutive mandate was demolished by these electoral results? Can an alliance emerge between PRO and the Frente Renovador? Will UNEN be able to replicate its successful formula at the national level? Is it feasible to have an alliance among the winners in Santa Fe, Mendoza and UNEN at a national level? In spite of these doubts, there is one certainty: the campaign for next election has already started. This entry was posted in Southern Cone, Uncategorized. Bookmark the permalink.